The Purobio Socket Line Brush is perfect to apply your eyeshadows and to create precise shading! With its ultra-soft synthetic hair, it does not irritate even sensitive eyelids. Its particular round shape, oblique and rounded in point, makes it possible to nuance, by reaching the most difficult and delicate zones of the face, with effects of chiaroscuro for a make-up all in nuances and gradations. With Purobio Vegan Socket Line Brush, you can apply your powder products (eyeshadows, bronzers) and cream products (correctors) to blend naturally on the skin. 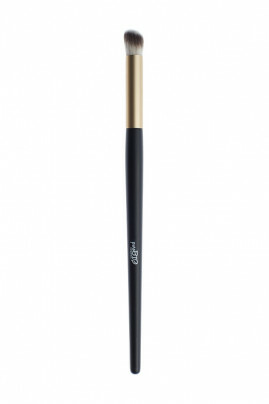 PUROBIO n°9 Brush is perfect to add dimension to your smokey eyes makeup! Take a little of Vegan Purobio Eyeshadow with the Socket Line Brush then and tapp off the excess. Apply the eye shadow on your socket line to add more definition to your eyes.